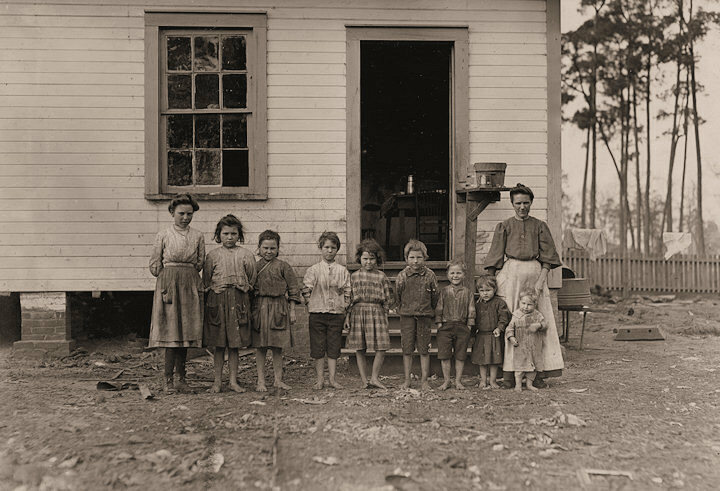 Struggling Families: A family working in the Tifton Cotton Mill. Four smallest children not working yet. The mother said she earns $4.50 a week and all the children earn $4.50 a week. Husband died and left her with 11 children. Two of them went off and got married. The family left the farm two years ago to work in the mill. Tifton, Georgia.